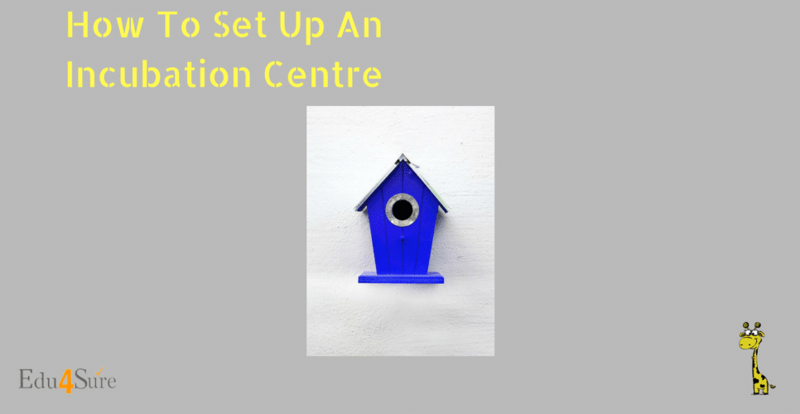 Home Entrepreneurship How To Set Up An Incubation Centre? Like a neonatal baby which is premature comes in this world out of its mother’s womb needs Incubators for special care until it attains its maturity, in the same manner, small businesses and start-up companies also need Incubation centers as a support for their full-fledged growth and existence. Although when I speak about Incubation centers I didn’t mean those intensive cares for babies whereas I meant by the private companies or municipal entities and public institutions such as colleges and universities who play an integral role in creating and growing young businesses or start-ups by eventually providing them with necessary support, financial and technical services. Like a baby is nurtured these Incubation centers (established firms, colleges, and universities) provides facilities to nurture young firms (start-up) during their early months or years of growth and eventually this collaborative program designed helps new start-ups to succeed. They’re often a good path to capital from angel investors, state governments, economic-development coalitions, and other investors. Hence, we can say these Incubation centers are organizations geared toward speeding up the growth and success of start-up and early-stage companies. “Entrepreneurship is all about deferred gratification’’ and he truly believes that India needs to have more and more entrepreneurs than employees for its advance growth. If we talk about recent scenario entrepreneurship in India is on the verge of explosive growth. And one important cog in the wheel is the Incubation centers – the place where start-ups are born. With this overview as to what Incubation is and how Incubation centers work let us come to the mechanism of initiating an Incubation center. MARKET RESEARCH- Primarily assess to market conditions and entrepreneurs’ requirements have a significant say before setting up an Incubation center. We need to have a proper check whether there is a demand for Incubators, where will incubates come from, what are the capital costs and operating costs of setting up an Incubator. Therefore, awareness of the market conditions before starting up an Incubation center is very important. Above all, what do entrepreneurs want from Incubation centers is also very important like is its access to cheap office space, internet, electricity, chance to meet investors, get access to quality manpower and experienced advisors. IDENTIFYING TEAM & SERVICE PROVIDERS– After having serious market research next step is to identify a set of advisors- preferably a set of heterogeneous industry veterans, faculty, and investors who all can guide the incubation managers. It looks easy to set up an Incubation center for entrepreneurs but real toiling comes at the time of execution. Thus, the team that manages Incubation centers has to be experienced enough. ALLOCATION OF RESOURCES– An Incubation centre needs to have proper resources at the time of settling up there operations like, space, internet, telephone, electricity, data centre, maintenance and security, furnishing (chair,table,cubicles), IT infra and support(software, LAN, leased lines, wifi, printer, scanner, copier, access control system), boardrooms, meeting rooms, coffee machines, restraints etc. All of these come at a specific and genuine price so Incubation centers need to manage and generate capital and manpower for the same. They can do their own funding as well as they can also take government support in form of subsidies. ESTABLISHING INTERLINKS & INTRALINKS WITH INDUSTRIES– Contact and connections has to be made with local entrepreneurs, lawyers, CAs, industry associations like CII, FICCI, Nasscom etc. or media(TV, print etc.) and it is not mandatory to establish links after setting up the Incubation centers even before the company starts its operations linkages can be established in order to not remain self-centered and internally focussed. MAKING PROGRAMS– Making programs means drawing out a calendar of activities which is very important because it keeps Incubation centers always charged. For example, conducting training programs, mentor meets, talks from experts, job fair, product showcases, technology demonstrations etc. from time to time helps the community to grow and brings in a great network effect. TO LUCRATIVE, CHOOSE, RETAIN & MANAGE STARTUPS– After making a good market research, identifying team and service providers, allocating resources, establishing links and drawing out a calendar of activities finally at the last but not the least Incubation centers need to attract, select, retain and manage start-ups. Business Incubators are established mainly to provide assistance to entrepreneurs significantly. Therefore, they need to think about the ways to attract, select, retain and manage start-ups that inhabit their planets. Different Incubation centers have distinguished stated criterion for the selection process. Thus, it is important to communicate the same in advance to avoid any sort of disappointments and chaos. There are so many Business incubators or Incubation centers functioning all over the country and even overseas. For entrepreneurs, start-up stage can be treacherous and exhausting. Business incubators are there to help with the growing pains by providing them with seed money office space, supplies, technologies, office spaces, offer professional services (such as marketing and accounting) and connect company founders with mentors, clients, and venture capital firms. All I can enlighten the above mentioned is by saying that timely assistance and wise outside counsel (or the lack of these things) can make or break any starting concern, and Incubator firms can serve as one-stop shops for coaching, mentoring, networking, structural support and the formulation of business plans. Competition for their support can be fierce with several hurdles to clear even. Incubation centers make sure that a start-up survives all sort of economic perils that come across its way. Of course, we can’t expect miracles. The success of our business will ultimately depend upon our company’s developing products and services people care about, and our ability to adapt and innovate. Also, if we as entrepreneurs are joining an Incubation center, we can’t necessarily take all advice at its face value because people are people some have great insight than others with a little less, and obviously not all Incubation centers i.e., Business incubators attract the best talent. But if we are starting out that’s definitely a good place to take under consideration. Next articleWhy Bootstrap Your StartUp?